Every child is a genius but in his own in-born potential. According to the scientist’s reviews, man only incorporates less than 10% of his brain capacity. This shows how awesome a human can be, if he utilizes more of brain’s capacity. As era changes from time to time and through centuries, it needs ever more sophisticated human brains, since the challenges will be more difficult in the future, compared to now. Therefore, man needs to reinforce his brain more sophisticated than before, in order to be able to overcome the challenges. How to train your kid to use the maximum potential of his brain? Prof Makota Shichida from Japan gave almost 40 years of his life to find the answer to that question. And the answer is called “Mid Brain Activation”. When done with correct technique and when practiced for subscribed period, the children are able to succeed not only in academics but also they do better in other areas of their life like sports, music, social development, etc. Mid Brain acts like a communication bridge, connecting left and right brain. 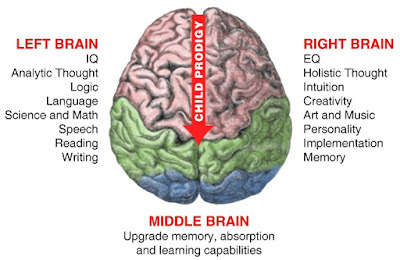 To balance the right and the left brain, mid brain must be activated and fully functional. Once mid-brain is activated, left and right brain hemisphere communicate very smartly and effectively. 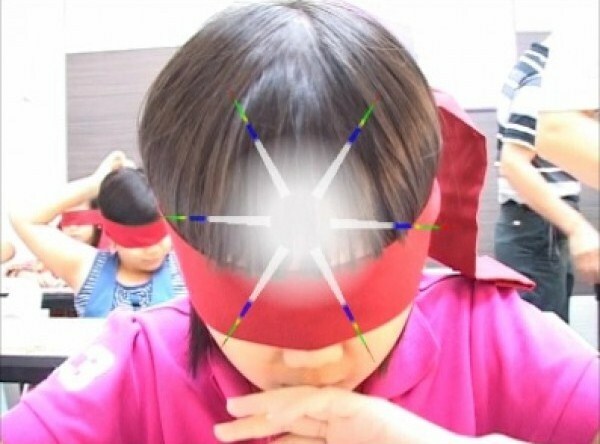 Activation of the mid brain stimulates and balances the left and right brains of the kids which activates their intuition capability (right brain faculty) and thus they are able to perform “Blind Folded Activities”. The Mid Brain is in-charge of controlling the entire human organism and whole of its system. The deep human consciousness controls the Mid Brain. Once you learn how to access the Mid Brain, you can also perform like a super human. 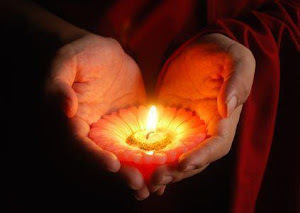 In order to awaken this part of the brain, it is necessary to stimulate a hormonal discharge by sending a special music vibration along with some brain exercises which activates the Mid Brain and which is done in only two days’ workshop. What is this Mid Brain Activation Course all about? Two months’ Mid Brain Activation Course is a fun filled course in which the kids are made to laugh, dance, play and do some Brain Gym Exercises. After exercises they are given some task for practicing which eventually enhance their concentration, focus and memory. In two months, they given a special kind of music therapy which activates their mid brain. This course is designed to bring the best in every kid. They are introduced to their unknown faculties of five senses, extra sensory perception and over all their whole brain optimization is done in this two months’ course. At the end of the course every kid is able to identify objects, read books and do many more activities blind folded. 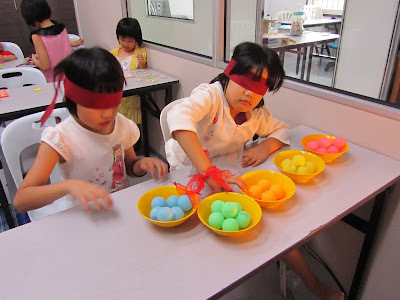 The newly found ability to do so many activities with blind fold on, the kids have found to be more confident, focused and creative. This Course gives an impression to the kids that learning is not boring but making use of whole brain is full of fun and interesting. What are the benefits of the Mid Brain Activation Course? What is the significance of Blind Folded Activities? When we blind fold kids and they start sensing the objects, identifying colours, reading books, then that proves that the some special power has been activated and that gives the kids some extra boost of confidence and they start believing that they have some special talent. 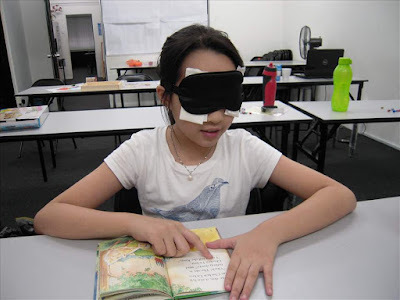 When they are able to do different blind folded activities, we also let them explore some other faculties of the mind like intuition, clairvoyance, speed reading and photographic memory through “Mid Brain Activation” training. After the activation they start doing all other normal things like studying and other day to day activities with very ease and comfort. 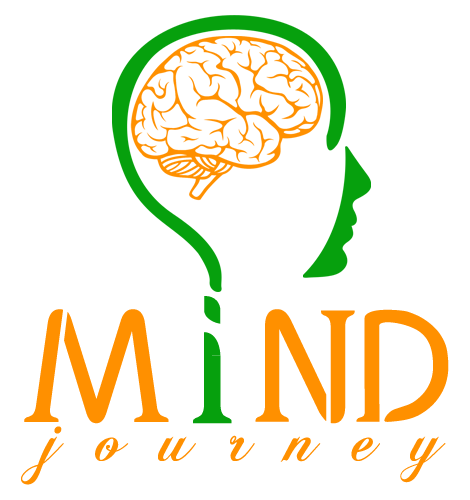 Mind Journey Miracles has a mission to help every kid to recognize his/her true potential and the way he/she look at their academic life, parents, society and above all his/her life. Rajmin Academy offers many amazing midbrain activation courses that help to boost the brain power. We offer exhaustive material to make the brain activity work in a smarter way so as to embellish the hidden benefits of brain power. Amazing post... Thank you for sharing this post. Its like making ones child a genius one. 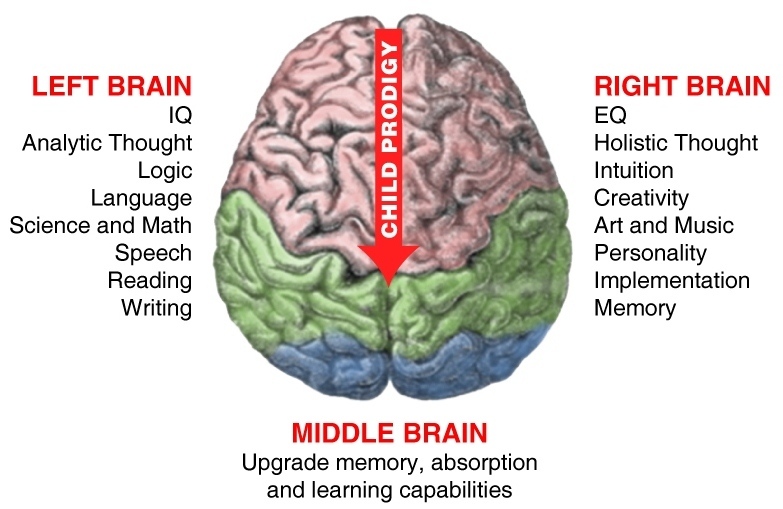 I am very much interested in midbrain activation training for my kids.